The award-winning author of Laura Ingalls Wilder: A Writer’s Life, editor of Pioneer Girl: The Annotated Bibliography of Laura Ingalls Wilder, and three young adult novels, Pamela Smith Hill will give a lecture on October 6, 2015 in 142 Copeland Hall at 4:00 p.m. An interview she gave for Friday Live on NET Radio, September 25, 2015 starts at the 26:50 mark. She will also make an appearance at 7:00 p.m. at the Kearney Public Library. Afterwards, The Sequel Bookstore will be on site with copies available for Hill to sign. Hill grew up in the Missouri Ozarks, forty miles from Laura Ingalls Wilder’s Rocky Ridge Farm, and moved to South Dakota, where she launched her professional writing career. 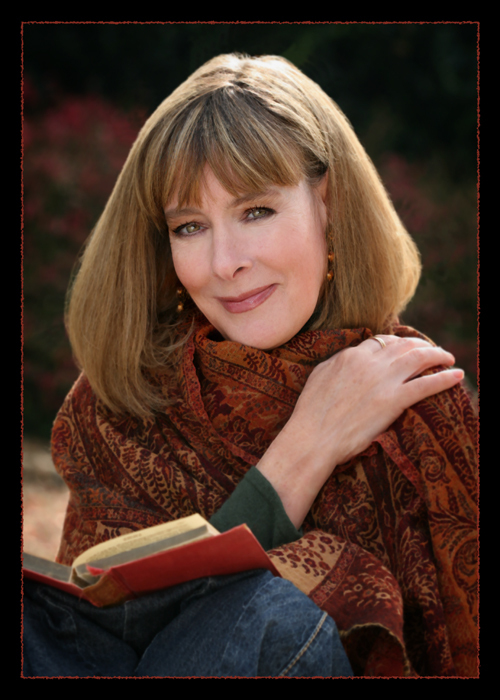 She has taught creative and professional writing at universities in Oregon, Washington, and Colorado and currently lives in Portland, Oregon, where she continues to teach and write. This event is a cooperative program between the Calvin T. Ryan Library, Kearney Public Library, UNK Women’s & Gender Studies Program, and NU Foundation, with a grant from the UNK Faculty Senate Artists & Lecturers Committee. As you prepare to participate in UNK’s homecoming activities, we thought you might be interested in materials from years past. You can visit our Pinterest page for some photos of parades, games, and decorations from throughout our institution’s history, or take a look at the Blue and Gold yearbooks online. 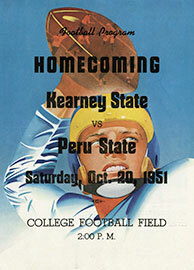 Come into the library and browse the Blue and Gold in person near our homecoming display, courtesy of the UNK Archives. Refreshments will be available for visitors to the library on Saturday, September 26th. 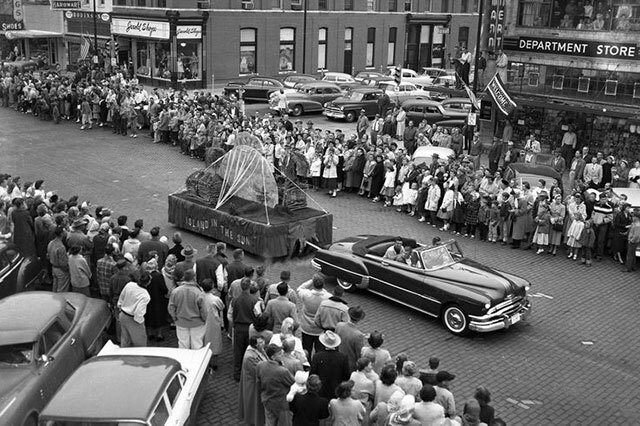 You can help the University Archives to document campus history and capture important campus events like Homecoming by donating your UNK related materials (e.g. photos) to the Calvin T. Ryan Library. Please contact our Archivist, Laurinda Weisse, at weissell@unk.edu or 865-8593 if you have questions about the homecoming display, or if there is another part of UNK history that you want to learn more about! Homecoming is coming up! Kick off the festivities by joining the Kearney Public Library and UNK Library staff for a night of KSC/UNK-themed trivia. Trivia will be held at the Chicken Coop on Tuesday, September 15 from 8:30-9:30. Call KPL at 308-233-3282 to get one question in advance. If you’re looking to study up on university history beforehand, check out the resources available through the UNK Archives. Clues to trivia questions will be available in the Calvin T. Ryan Library Homecoming display. In October 2014, Laurinda Weisse joined the Calvin T. Ryan Library faculty as its first University Archivist. 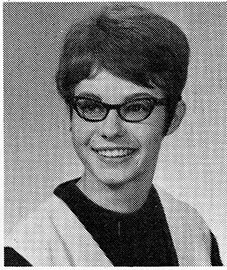 She is chiefly responsible for collecting, preserving and making available materials that document the history of UNK. Laurinda earned a master’s of science in information from the University of Michigan, with specialties in archives, records management, and preservation of information. 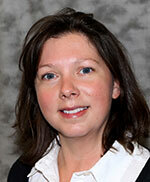 She previously served as a Reference/Special Projects Librarian at UNK. order to provide students and researchers better access to the primary source materials. She holds a Master’s degree in Library and Information Science with a specialization in Archives from Louisiana State University in Baton Rouge. Laurinda and Sally are the first professionally trained Archivists to hold positions at the Library. Their combined expertise will help in the collection, organization and preservation of the irreplaceable materials that tell the story of the institution that is now UNK. Their work will establish the UNK Archives and Special Collections as an accessible, working resource for UNK students, faculty and the broader community.